Bowing in humbled submission to the will of our Heavenly Father, it has become the solemn responsibility of Majestic Funeral Homes to inform all, that Mrs. Betty Guyton is now resting in paradise. 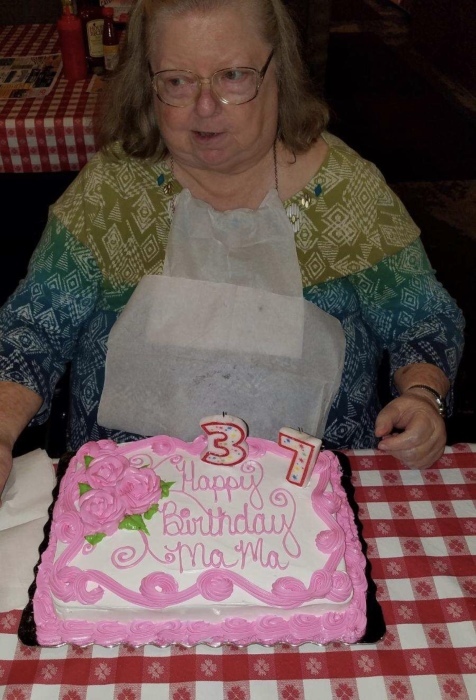 Mrs. Guyton put down the cares of this life Saturday night at her residence in Dublin, surrounded by her loving and devoted family and friends. Mrs. Guyton’s family has reserved Tuesday as the day to celebrate her life. Commencing on Tuesday from 3 o’clock until 4o’clock pm, family and friends may gather to reminisce on lasting memories, while visiting with Mrs. Guyton in the Life Celebration Chapel of Majestic Funeral Homes Elizabethtown campus. The events will climax at 4pm, with a Triumphant Farewell Celebration also in the Majestic Life Celebration Chapel. Following the formalities in the chapel, Mrs. Guyton’s delicate temple along with her adored family, will be escorted to Guyton Cemetery for Interment Rites. As difficult as it will be for her precious children and family to dismiss from this earthly resting place without Mrs. Betty, all will find solace knowing she is in that land where there is a tree and its leaves are good for the healing of all infirmities. There, she will rest by the brook flowing with living water, forever resting in eternal paradise. Betty was preceded in death by her father and mother Seargent Floyd Bell and Lorena Bell of White Lake, and her birth Mother, Virginia Townsend (and husband GC) of Lenoir, NC, her husband of 54 years Norman Guyton of Dublin. She is survived by her two daughters: Mary Blackmon and husband Guy of Dublin, Norma Jean Guyton of Elizabethtown, one son Norman Guyton Jr and wife Alice, three grandchildren Cody Blackmon and wife Heather of Dublin, Brandi Scott and husband Tony of Wilmington, and Stephen Blackmon of Fayetteville. She has two Great-grand daughters Sidney and Lucy Blackmon, one Great-grandson Reid Scott and one Great-grandson on-the-way Liam Blackmon. The family is receiving guests at 549 NC Hwy 410 Apt. #11B Bladenboro, NC. The professionals at Majestic Funeral Establishment are working around the clock to ensure that the Guyton and connected families every need are attended to.